How can your organisation defend against constant DDoS attacks? Think what you can’t see can’t hurt you? A new report from Corero Network Security has shown that, when it comes to DDoS attacks, this is definitely not the case. The report suggests that the barrage of short, low volume DDoS attacks – which often go undetected by IT security staff and many DDoS protection systems – are in fact, the greatest DDoS risk for organisations, because they frequently go undetected and often mask more serious network intrusions. According to the DDoS Trends and Analysis Report, these short, stealth DDoS attacks are often used to disrupt and distract network operators. Typically less than 10Gbps in volume and less than 10 minutes in duration, these sub-saturating attacks are capable of knocking a firewall or intrusion prevention system (IPS) offline so that hackers can target, map and infiltrate a network to install malware and engage data exfiltration activity. These hidden motives have led Corero to describe this type of attack as “Trojan Horse” DDoS. Stephanie Weagle, VP at Corero Network Security discusses the key findings from the report below, and what the increased frequency and sophistication of DDoS attacks means for organisations trying to defend against today’s evolving cyber threat landscape. What were the findings from your latest DDoS Trends report? “The research shows that short, frequent, low-volume DDoS attacks continue to be the norm. Despite several headline-dominating, high-volume DDoS attacks over the past year, the majority (80%) of the DDoS attack attempts against Corero customers during Q1 2017 were less than 1Gbps per second in volume. In addition, almost three quarters (71%) of the attacks mitigated by Corero lasted 10 minutes or less. Since last year’s attacks on Krebs on Security and Dyn, have we entered a quiet phase in terms of DDoS attacks? Why are these short, sub-saturating denial-of-service attacks so dangerous? Why would hackers choose to inflict these short attacks, rather than to cause large-scale outages? Can you give any examples of these kind of attacks inflicting serious damage? Which are the sectors or organisations that are most at risk of attacks? Do these kinds of attacks represent an additional risk for organisations preparing for GDPR? 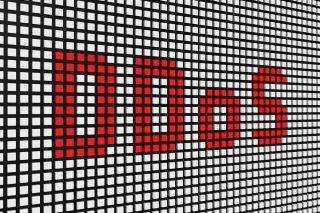 How can businesses best defend themselves against the latest DDoS attacks? “The combination of the size, frequency and duration of modern attacks represent a serious security and availability challenge for victims. Minutes or even tens of minutes of downtime or latency significantly impacts brand reputation and, ultimately, revenue generation. When you combine the size, frequency and duration of attacks, and the low volume sub-saturating nature of the threats; victims are faced with a significant security and availability challenge. “Today’s DDoS attacks are almost unrecognizable from the early days of attacks, when most were simple, volumetric attacks intended to cause embarrassment and brief disruption. Nowadays, the motives behind attacks are increasingly unclear and the techniques are becoming ever-more complex. This is particularly true in light of automated attacks, which allow attackers to switch attack vectors faster than any human can respond.